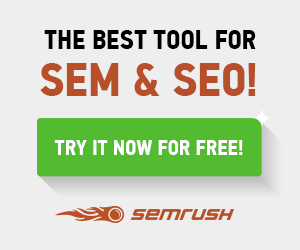 Interesting in gaining more exposure for your product, SEO tool, WordPress plugins & themes? We always on the lookout for SEO tools, new plugins, and themes to let our readers know about. If you’re with a company looking to write about a problem for which your company offers a solution. Or about any area in which you have a vested interest, your story would qualify as a sponsored post. We have found reviews and tutorials to be the most effective way of converting an interested user into a sale or download. That’s why we prefer sponsored review/post for the paid advertisement on our platform. What do I get with a sponsored review? The sponsored review/post will get a 1 month 125×125 sidebar ad space on my blog, which will be linked to your review/post. Product reviews/posts are typically 1000+ words. How much does a sponsored review/post cost? To prevent unbiased review and skewing our opinions, we try to keep advertising prices to a minimum. We have a team of professional writers and the price would be 0.2 USD per word. And product review/post are typically 1000+ words. If you have your own content and want to publish on our platform then you have to pay 200 USD per review/post which includes a 1 month 125×125 sidebar ad space. And you have to follow the Contributor’s Guidelines to get published on our platform. So, If you would like us to review your product or speak with us about sponsored reviews/posts opportunities, feel free to contact at [email protected]. Or you can also fill the form given below and we’ll try to get back to you as soon as possible.